Refer a Friend to Winner Casino and enjoy a €50 bonus when your referral makes their first deposit at the casino. 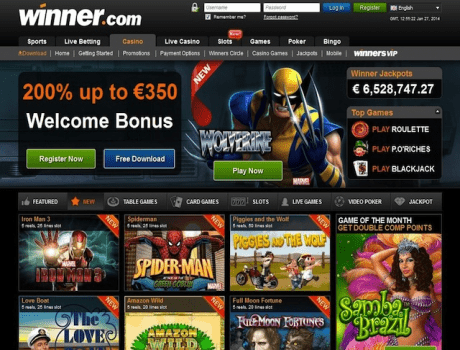 Your friend will receive a welcome bonus of 200% up to €350. To qualify for the Refer a Friend bonus, you must have a real money account. Your friend needs to open a real money account and make the minimum deposit. Only genuine Winner Casino players who have already made a first deposit in the casino are eligible to invite friends and take advantage of this promotion. Both you and your friend must wager at least €50 or 100% of your deposit (whichever is greater) at Winner Casino. Bonus is subject to 30x wagering requirements before any winnings can be withdrawn.